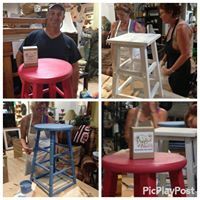 This is an introductory chalk paint class using Poppies Paint Powder. This can be mixed with any paint to create chalk paint. 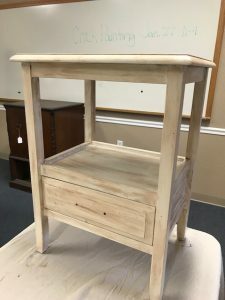 You will learn how to mix the powder with any paint as well as chalk painting techniques. YOU WILL BRING A PIECE OF SMALL FURNITURE, PICTURE FRAME, ACCESSORY, ETC. THAT YOU WANT TO PAINT. Colors provided: Pink, Antique White, White, Country Blue, Teal Blue, Dark Grey, Light Grey, Soft Purple, Dark Blue, Venetian Green, and Black. 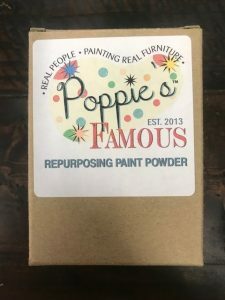 If you have a specific paint that you would like to use, you can bring it in to mix the powder in and use. All other supplies will be provided along with snacks, refreshments and the makings for Mimosa!!! 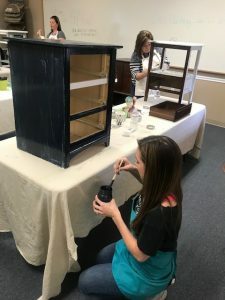 *If you just want to learn to chalk paint but don’t have a piece to bring in, we can provide something small like a picture frame or accessory. Here are some examples of pieces that can be brought in for the class.